The number and type of assets that people own today is constantly evolving, which presents significant challenges for people who don’t look at their estate planning that often. Thankfully, an estate planning attorney can help to review your checklist of an inventory of items that go inside your estate. There are some assets that are left outside of your probated estate but should still be updated on a regular basis to reflect your individual needs. These include retirement accounts, payable-on-death bank accounts, and life insurance policies that name a beneficiary who is eligible to take over if something were to happen to you. Everything that you own must be incorporated in your estate plan along with a provision for its distribution. In addition to this basic guideline for estate planning, you should think about what-if provisions too. Which means that you have thought about what happens if a named beneficiary cannot inherit as you intended for him or her to do so. Although one option for minimizing the chances of missing something inside your will is to update it whenever you acquire something new. 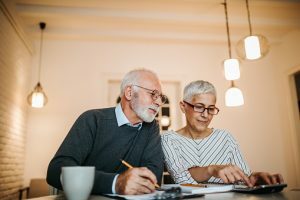 This can be a challenge to keep up with and oversights can still happen, which is why your estate planning attorney might recommend a residuary clause. This ensures that any assets that are not specifically named in the will are passed on to the beneficiaries of your choice. If you have property that is not included in the will and skip out on the residuary clause, your loved ones could find themselves in the land of probate. Avoiding probate is a common goal of estate planning so talk to an attorney about how this might benefit you. Do I Need to Use A No-Contest Clause in My Estate Planning? Many people are concerned about the possibility of their estate being contested in the future. This can lead to continuous litigation that is expensive and emotionally draining for your loved ones. 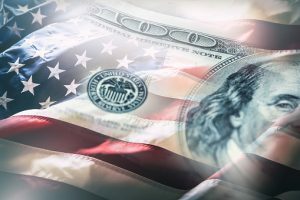 Even those loved ones who are recipients of assets inside your estate who find themselves in the midst of litigation with a sibling or other person who has specifically been disinherited. You can minimize the chances of this conflict in the future by using a tool known as a no-contest clause. 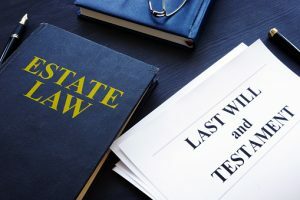 A no-contest clause inside a living trust or a will is a strategy that is intended to discourage estate plan beneficiaries from attempting to sue, arguing that your estate plan is invalid. One of the most common reasons that someone initiates a will contest is because they believe that they are entitled to more than you left behind for them. When you draft a valid estate plan with the help of an estate planning attorney, and also include a no-contest clause, a beneficiary who unsuccessfully challenges a living trust or will officially forfeits all of his or her inheritance through that document. If there is a risk that one of your beneficiaries might challenge a living trust or a will, a no-contest clause might be beneficial for you. However, in many situations a no-contest clause is not completely necessary if there is no reasonable risk of a lawsuit by a beneficiary. Remember that you are not responsible for being fair when distributing your property, and you have the right to select the method of distribution that most appeals to you. What’s the Distinction Between A Traditional and A Durable Power of Attorney? A common estate planning term you’ve probably heard of before is power of attorney. Power of attorney is a very valuable document in your estate planning and each different type has its own provisions and rules. If you’re unsure of which type of power of attorney you need to use, a consultation with a lawyer can help. In general, your power of attorney is a legal document through which you, the creator, name another person who has the authority to make decisions on your behalf and even take actions. This individual is called your attorney-in-fact or your agent. A durable power of attorney means that this power extends to your agent if you become fully incapacitated and are unable to make decisions of yourself. A durable power of attorney will remain active and in effect until the principle creator revokes the power or passes away. The only way to revoke a durable power of attorney outside of these situations is if the court revokes the agent’s authority or finds the document invalid or in the case in which the creator of the DPOA gets divorced and the spouse was serving as the agent. 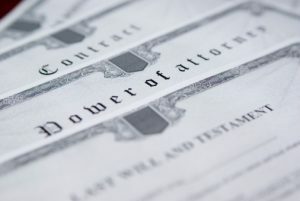 A regular power of attorney, however, ends if the creator becomes incapacitated, which is a primary reason to have a durable power of attorney in place to begin with. It goes without saying that the death of a parent is one of the most complicated times in your life, and this loss can lead to significant riffs among siblings. Unfortunately, the distribution of assets can be one reason that causes conflict between you and your siblings. Can You Contest a Will for Any Reason? You need to understand the grounds of a will and what it means to challenge the validity of this document. If a sibling believes that there are reasons to classify the will as invalid, he or she can initiate a will contest. 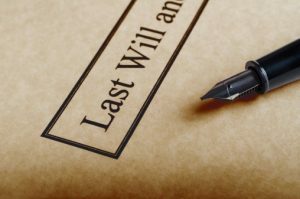 A last will is a legal document that cannot be easily overturned without significant proof indicating that there are reasons to invalidate the will. This means that just because your sibling contests the will doesn’t mean he or she will be successful. Furthermore, contesting a will is time consuming and expensive, and it might just take your sibling meeting with a probate dispute lawyer to understand the stakes involved to make another decision. Wills can only be contested by children, spouses or people who are mentioned in the will or a previous version of the will. When any one of these individuals notifies the court of a will contest, the official legal procedure will begin. A sibling or anyone else cannot have the will overturned or thrown out simply because he or she believes it’s unfair, they’re mad at you personally, because the parent verbally stated they would do something different, or because they feel left out. If there is a valid legal question about the legality of the will, this is the only time that a sibling is able to challenge the process under which the will was created or the document itself. A last will and testament is assumed to be valid by the probate court, so long as it is submitted in the proper format and has no will contest associated with it. 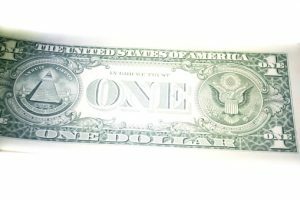 You may need to retain your own probate dispute attorney if you have to fight back against a sibling who is arguing that the will is invalid. Need help with your estate planning? Talk to a Virginia estate planning attorney now. Estate planning issues that have to do with children can be extremely complex. Minor children are usually only able to own a small amount of property directly in their own names. 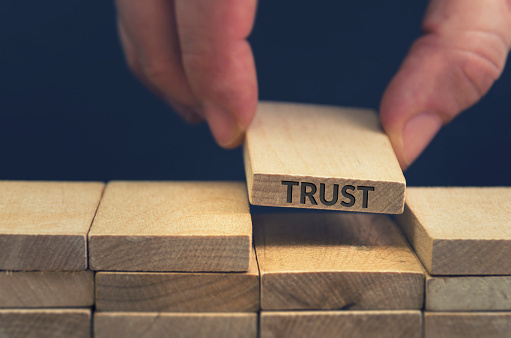 This is why many parents choose to use tools, such as a trust, to pass on property to their children through the management of a trustee. The amount that minor children can accept outright in their own name varies from one state to another, so it’s important to discuss with your individual estate planning attorney what to expect. Any property that belongs to a minor beyond that amount has to be legally supervised and controlled by an adult. If you are considering leaving behind a substantial gift to a minor, you should select an adult to be responsible for it. •	Leaving the gift to the child and naming an adult able to be responsible for supervising it. The adult can be one of the parents of the child but does not have to be directly. •	Leave the gift to the other parent who is eligible to use it for the child’s benefit. If the parents can cooperate and get along with another and can trust that any money will be managed well, this is usually the simplest way to address the matter. For more helpful comprehensive estate planning issues having to do with children, schedule a consultation with a lawyer today. What Unique Assets Were Left Behind by Famous People in U.S. History? Ancestry.com’s U.S. probate and wills collection provides vast details about what people in the past left behind to their loved ones. •	A snuff box left by U.S. Secretary of State, Daniel Webster, to his grandson. •	An island given by railroad businessman, George Pullman, while awarding his twin sons only a few thousand dollars a year. •	A $1 gift made to a grandchild of Paul Revere whereas everyone else received $500. If it makes you concerned that so many intimate details of other people’s estates are available online, then you might wonder how these came to be available for public consumption to begin with. This is because the information about assets being passed down to future generations was detailed in wills and wills become a matter of public record. Even if the initial intent of establishing such a will was for these details to remain private, you need to consider using a trust as opposed to a will. An experienced and knowledgeable estate planning attorney can help you use a trust to enable additional privacy for your estate planning. Trusts are essentially written instructions that only you and the person selected as trustee need to know about. This document does not go through probate like a will does and is much more private. You can also help to manage assets passed on to your loved ones by using a trust, which is not as easy to accomplish in a will. All too often, people miss out on valuable estate planning opportunities because they fall for myths that they heard from someone once or did not properly investigate. The only reliable source for estate planning information is an experienced estate planning lawyer who has a track record of assisting people with the proper structure of their individual plans. 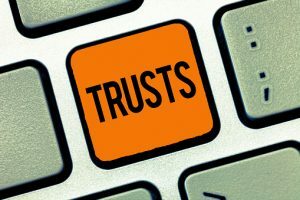 One common myth that prevents people from putting together a trust that would otherwise help them and their beneficiaries is the concept that living trusts are only for wealthy people. This is the most widely believed misperception about living trusts and is completely inaccurate. Although many wealthy individuals set up trusts, this doesn’t mean that they are an estate planning option that only makes sense for the rich. 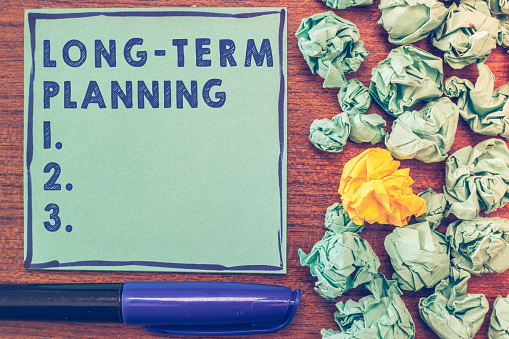 Instead, many individuals and middle class families find that there are numerous benefits to using a living trust that could complement their other estate planning. A living trust enables the grantor to retain control over the trust property until he or she passes away. 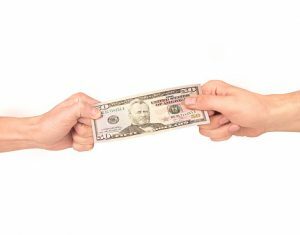 At that point in time the trust is turned over to the successor trustee who was selected by the grantor and is responsible for distributing trust property, according to the grantor’s individual wishes. There are numerous benefits to having a living trust as part of your overall estate plan, such as easy distribution of your assets to your beneficiaries, avoiding probate, and additional privacy. Furthermore, a living trust ensures that the wishes outlined in their estate planning are followed to the letter. A knowledgeable estate planning lawyer can help you to draft this important document.